Acupuncture is an ancient Chinese Medical Therapy that has been proven beneficial in the treatment of a variety of diseases. This therapy is based on the concept that the body has energy flowing through meridians that run throughout the body. By placing fine needles on specific points along these meridian lines, energy can be directed to areas of the body that are lacking energy helping to restore energetic balance. 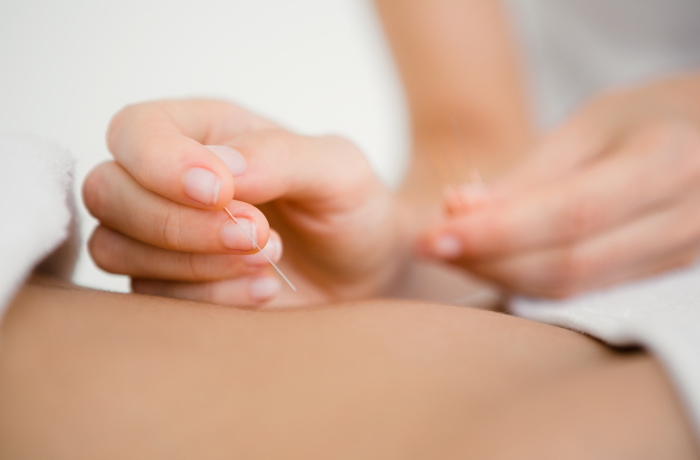 Through this restored balance, acupuncture stimulates the body's own healing process. Acupuncture is proven to be safe and effective. In addition to promoting long-lasting health benefits, acupuncture can be used in the prevention of disease, and treatment of illness, injury, and pain. Ask your chiropractor about acupuncture today and discuss how acupuncture could be the perfect complimentary therapy for you.